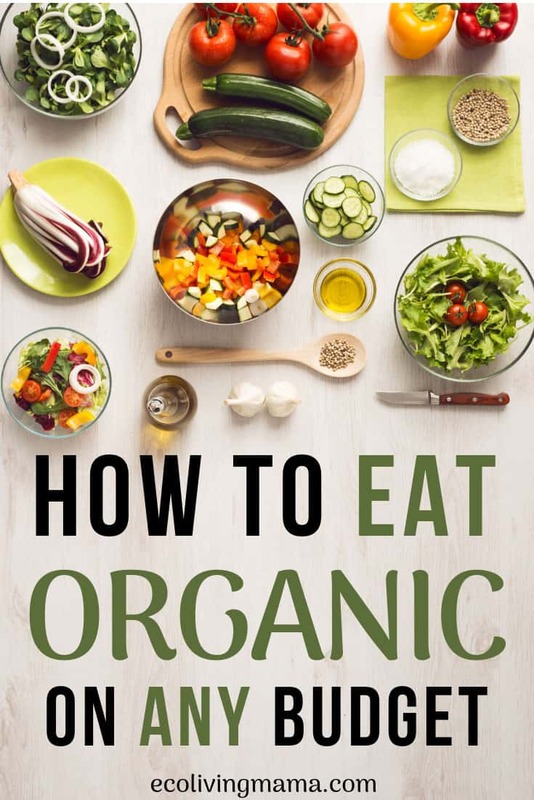 There are lots of easy ways to go organic! Healthy, organic food can be affordable for any budget. 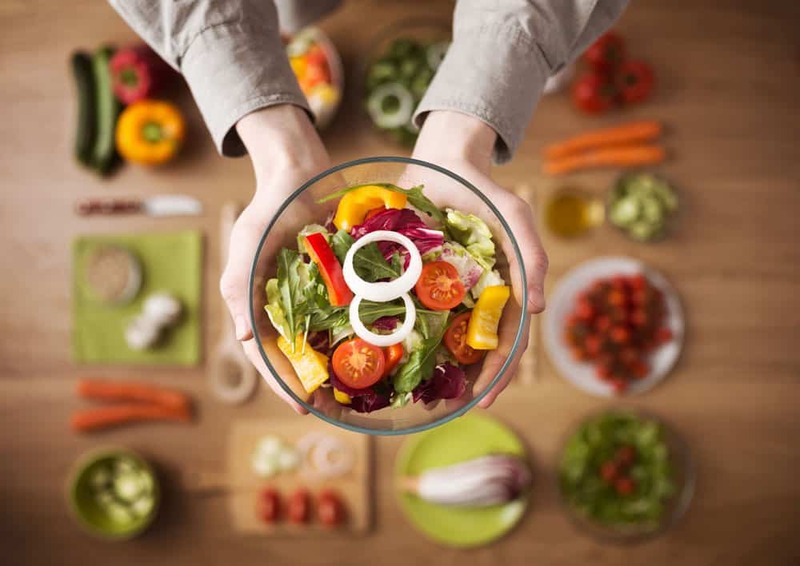 Whether you’re just starting your journey into organic food or you’ve been making organic choices for a while, these 10 tips to eat organic on a budget are for you. There are lots of terms thrown around when it comes to food labeling, and it can get confusing as to what they all mean. When you’re looking to start eating organic, it is super important to understand WHAT you are buying and if it’s actually healthier than the conventional version. The good news is there is a clear cut list of what is most important to buy organic. The Environmental Working Group produces an annual list of the cleanest and dirtiest produce based on the latest research. The Dirty Dozen is a list of produce that are most likely to have a high concentration of chemicals on them if purchased conventional. These are things like leafy greens, berries and apples, where the skin or outside of the plant is consumed. I always buy anything from the Dirty Dozen list organic. If they don’t have it organic, I don’t buy it. Period. The Clean 15 is a list of the cleanest conventionally grown produce that you can get away with skipping organic. Things that have a thick skin that you remove, like avocados, melons and bananas, have been shown to have little to know chemical residue on the part of the plant you consume. I stay familiar with the Clean 15 List and do buy some of my produce conventional instead of organic. This is one way how I afford organic food for my family of 5. TIP: When you’re first starting to eat organic, begin with the Dirty Dozen. Anything on this list should be purchased organic or not at all. Buying from local farmers is a great way to eat organic on a budget. I love visiting my local farmers markets in the spring and summer months, and have come home with some amazing produce for my family. Many people think buying from a farmers market means your food will be overpriced, but I have found quite the opposite to be true! When you buy cherries at your local grocery store, chances are they have traveled a looooong way to get there. That travel cost is factored in to the cost of the produce. When you purchase from a farm that is close by that additional cost of transporting the food is eliminated! Plus you are purchasing almost as fresh as you can get and supporting a local business. TIP: make sure to ask your local farmers if they use organic practices! I have found that many small, local farms cannot afford the official USDA organic certification. However they follow the same organic practices, which is good enough for me. When you shop local you will always be shopping in season, and shopping in season saves you money. But at the grocery store you can buy strawberries or peaches in the dead of winter. Eating organic food when it is in season is one of the most affordable ways to go organic. Organic produce is infinitely more expensive than out of season than conventional produce. I’m not going to lie, this might require some adjusting for you and your family. If you’re used to purchasing whatever your heart desires any time of year, this will no longer be the case when you eat in season. But for my family, I just cannot justify spending $5 for a tiny carton of blueberries when my 2 year old can devour the whole thing in 5 minutes. That is NOT an affordable way to eat organic. This means that when strawberries are not in season and the price of organic skyrockets at my local store, we do not buy them. Same goes for peaches, cherries, nectarines, pretty much everything on the Dirty Dozen list and anything with a thin skin that we eat. We eat whatever is in season and in our budget, and do not compromise organic when it matters. TIP: If you have the freezer space and a little wiggle room in your budget, stock up on seasonal produce when it’s in season and freeze it! Your freezer will be stocked with healthy, organic food in the dreary winter months. So if you’re totally bummed that eating organic on a budget means you will have to limit some of your favorite produce, don’t worry! Eating organic frozen produce is an easy way to make organic food affordable. Did you know that frozen produce is often healthier than fresh?! Frozen fruits and veggies are picked in their prime and flash frozen right away, keeping their nutrients and flavor intact. In contrast, fresh produce from a grocery store is typically picked before ripe and may spend a week or more on a truck before you buy it. My favorite thing to buy frozen is organic fruit from Costco. My kids eat frozen cherries like they are candy, and I use them in my sugar free cherry sauce. Frozen blueberries are delicious mixed with yogurt or in smoothies, frozen broccoli, green beans and green peas are all in regular rotation on our dinner menu. 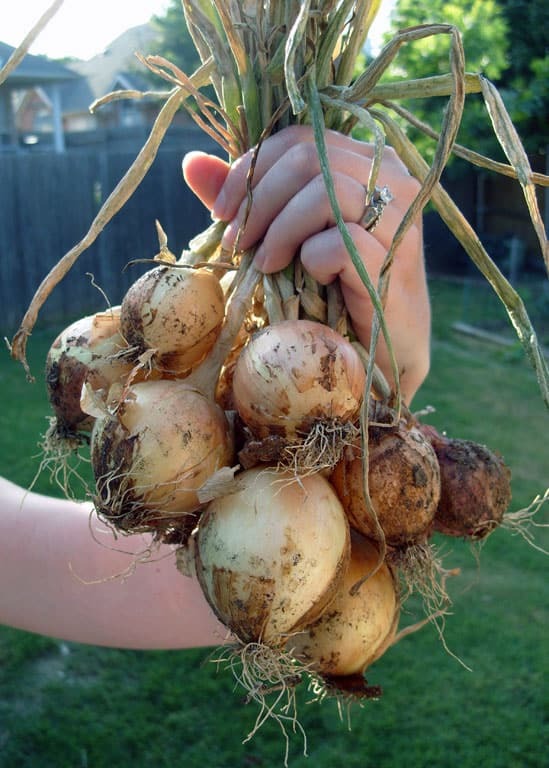 Growing your own food is an amazing way to eat organic on a budget! I have had a backyard vegetable garden for 10 years, and absolutely love the reward of picking my own produce from my yard. Of course you shouldn’t expect a huge bounty of produce that will drastically cut your grocery bill. But with a little bit of planning and some care, you can grow your own vegetables and even have enough to can or freeze for the winter months. TIP: Get your kids involved with starting a garden! I plan and plant our garden with my kids and we all really enjoy it. OK, so up until this point I have focused on how to afford organic produce. But we need to talk about processed foods because it has the potential to bust your budget when you’re starting to go organic. While you can find healthy, organic packaged foods, you will need to pay close attention to labels and ingredients. In order for a packaged food to be labeled organic, it must be made with at least 95% organic ingredients. This leaves some wiggle room for non-organic and unhealthy ingredients or additives. In addition, organic packaged foods are often much higher priced than their conventional counterparts. For example, a can of regular kidney beans might be $0.99, while a can of organic kidney beans is $1.39. If you use 2 cans of kidney beans a week, that’s an increase of $0.78 weekly to switch to organic. Totally do-able. But let’s say your kids adore Kraft mac-and-cheese and you make it 3 times a week. And the organic version of boxed mac-and-cheese is twice as much as Kraft, that is a significant increase for your budget. If you are used to eating lots of packaged or processed foods, you will definitely have sticker shock if you try to cold-turkey switch to all organic. The easiest way to avoid this is to simply eat fewer processed foods. Real, whole foods are better for your body anyway and organic whole food will almost always be cheaper than organic processed food. TIP: Slowly switch to the organic version of your must-have packaged foods. Start with just a couple of items this week and add a couple more next week. Making your own food instead of purchasing pre-made or packaged is a wonderful way to eat organic on the cheap. Now, I’m not saying you should start making all of your kids snacks from scratch and spend all of your hours in the kitchen. Just like making the organic switch with processed foods, start small! Maybe your kids love granola bars as snacks (don’t most kids?). After closer inspection of your current brand and the organic alternative, it doesn’t seem feasible for your budget to switch. Try making them yourself! You will be amazed at how cost effective it is to make your own and odds are your kids will like them better than the packaged version. Plus they freeze well, so you can make a big batch once and not have to think about it for a while. Pick just one thing that seems feasible for you to do. Start small, and once you have the hang of that one thing, try adding one more. I basically shop at 2 stores: Sprouts and Costco. Costco has an amazing selection of organic foods that I purchase in bulk once or twice a month. If your budget allows this, I highly recommend bulk buying some of the non-produce organic foods your family eats. A few of my favorite organic foods from Costco are: frozen fruits and vegetables, coconut oil, organic raisins and other dried fruit, organic nuts, nut butters and organic butter. Some of these have significant savings over the regular grocery store so it’s worth it for me to make a special trip. Another great way to buy in bulk is by shopping the bulk bins at your local store. Sprouts has a great bulk section, and I frequently purchase organic oats, beans, nuts and flours from them. Making the switch to healthier meat can be one of the toughest since the cost is so much higher. It was one of the last areas I switched to organic because of this. It takes some pretty big adjustments to get used to paying double or triple for meat. This is true for animals as well as humans. Let’s think about why regular meat from the grocery store is so inexpensive. If the animal is not healthy, the meat we consume from that animal is not healthy for US. The animals are fed cheap GMO corn feed and are often given growth hormones, antibiotics or other chemicals. These are not healthy animals by any stretch of the imagination. In my opinion, it is better to eat NO meat than to eat unhealthy meat, and I consider most conventional meat unhealthy. While I’m not suggesting you go vegan (I am definitely not vegan! ), I am suggesting you find ways to eat less meat while you adjust to the higher price of high quality, organic meat. Grass fed, high quality, organic meat IS expensive, and it should be. High quality, organic meat comes from healthy animals that have been treated humanely. This is a big change in not just your food budget, but how you think about food. The biggest piece of advice I have for someone just starting their journey into organic food is to start small. It is so wonderful that you are making this change for yourself and your family, but don’t overwhelm yourself by trying to make all of these changes at once! It took me years to switch to a mostly organic diet for myself and my family, and there are still areas I am improving on. Start with one thing at a time and once you’re comfortable with that change, add something new. This is also a great way to make adjustments in your budget, as making a single change one week will be much easier than 10 at once. I suggest starting with produce first, then moving to packaged foods and dairy and meat last. Take your time if you feel overwhelmed when you begin to seek out organic foods. You CAN afford organic food, it just takes some time to adjust to the difference in cost and how you feed your family. I’m rooting for you! Drop me a comment and let me know how your journey into organic food is going! Thanks for information on why to switch to organic. You have given me a lot to work with and will start making even more changes in my families meals. I have sent your link to my daughter because my grandson was just put on a diet of organic only due to his acne and he’s only 3! This article will make it easier for shopping for him. Thanks again! Hi Kelly! I’m so glad to hear you found the article helpful!! I really think small changes over time are key to success. Best of luck to you and your daughter – it can be so tricky figuring out how to feed kids healthy! This is such a great post! You shared so many ideas on how to make eating healthy a priority. No excuses about it being too expensive! 🙂 I have gotten in the habit of making a lot of things from scratch to save money. 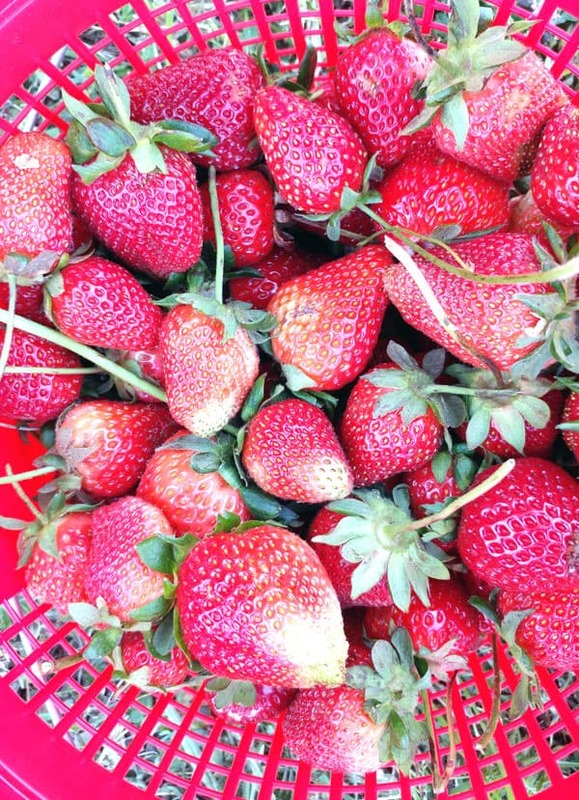 And I can’t wait until summer when the farmer’s market is just around the corner for some fresh produce! Thank you so much for sharing these ideas — I’m going to implement some of them in our own house. Thank you so much Amanda! 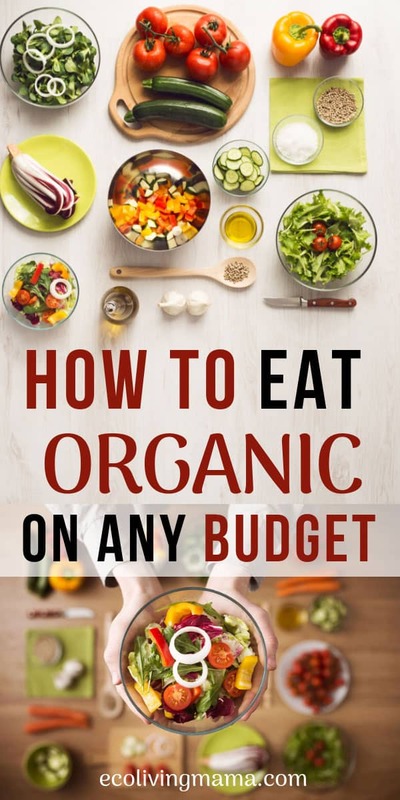 It can certainly SEEM like organic = more expensive when you are first starting, so I’m glad you found these tips helpful. Making things from scratch is a great way to save money. And OMG, YES to the farmers market. I absolutely love going to the farmers market too for fresh produce and I also pick up meat and eggs from a local ranch there – soooo good! Best of luck in your organic journey! !